You know how much I love multicolor glitter. 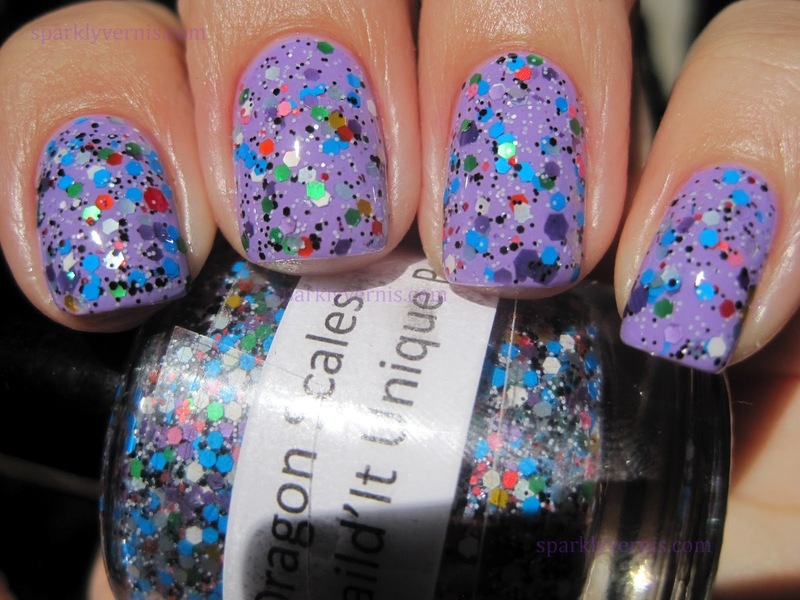 This one is kind of similar to all those "birthday glitters", but with a twist . 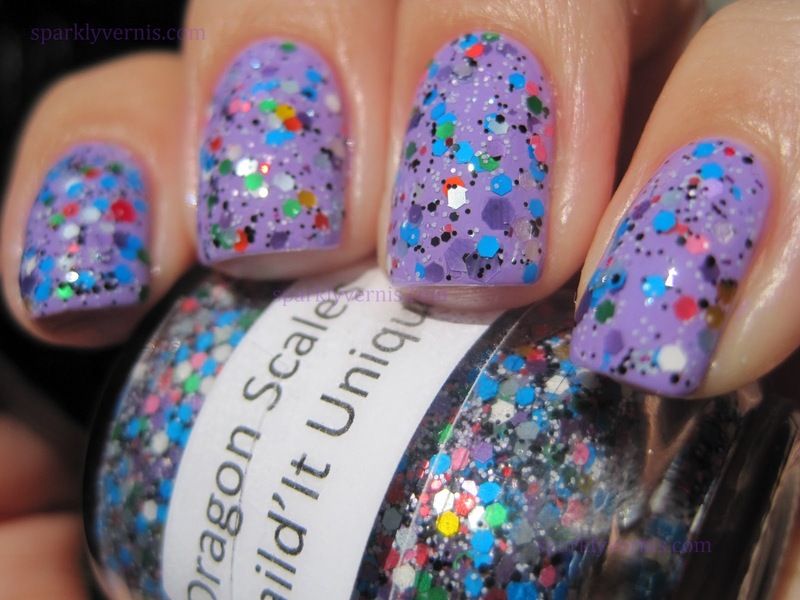 It has black and white small glitters and some of the hexagons are matte. My absolute favorite is the medium purple opalescent hexagons. This is another "indie" nail polish, but don't worry, the owner is super nice. Should you ever have questions or problems, she is there for you. I highly recommend this shop. I mean her feedback (100% positive out of over 500 buyers) should give you an idea. Dragon Scales can be found here. This is beautiful! 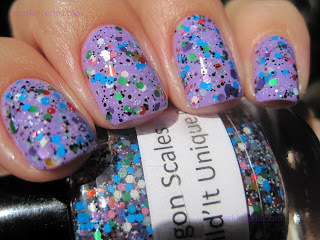 Love the multi-colored glitters over Jo'mina! Very beautiful! Love it over that layer! @ Polish AMOR: do eet! !